Spread jam over crust. 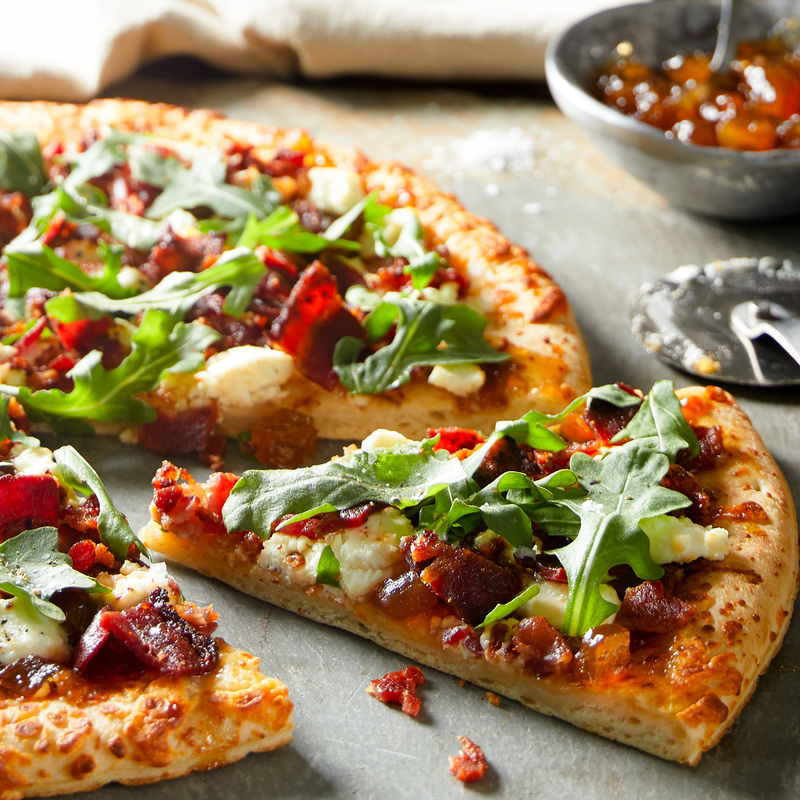 Evenly distribute the goat cheese and bacon over crust. Bake for 10-15 minutes until hot and bubbly. Top with arugula if desired.